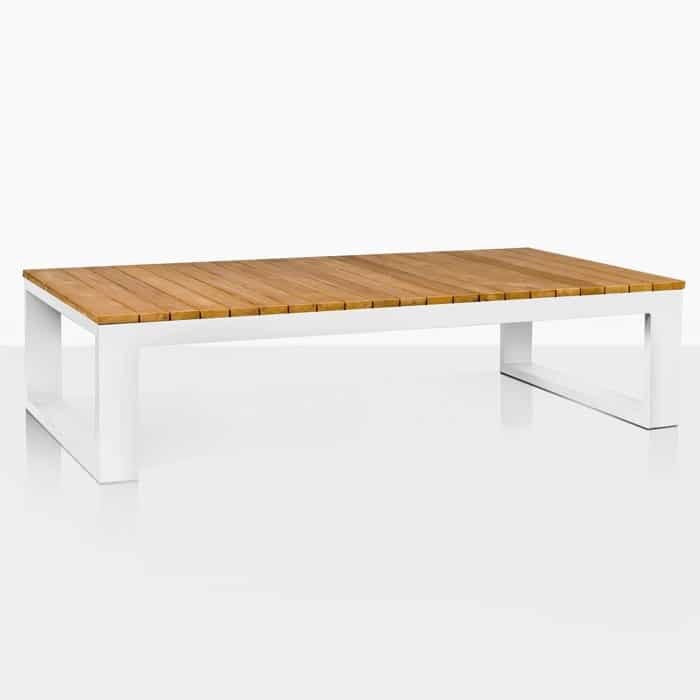 Are you craving a versatile piece of furniture to lay out, entertain guests, enjoy casual dining? 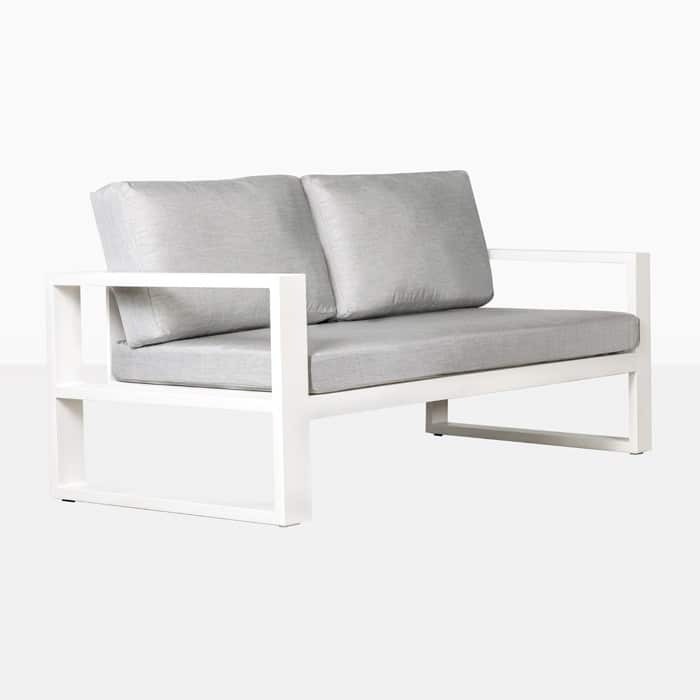 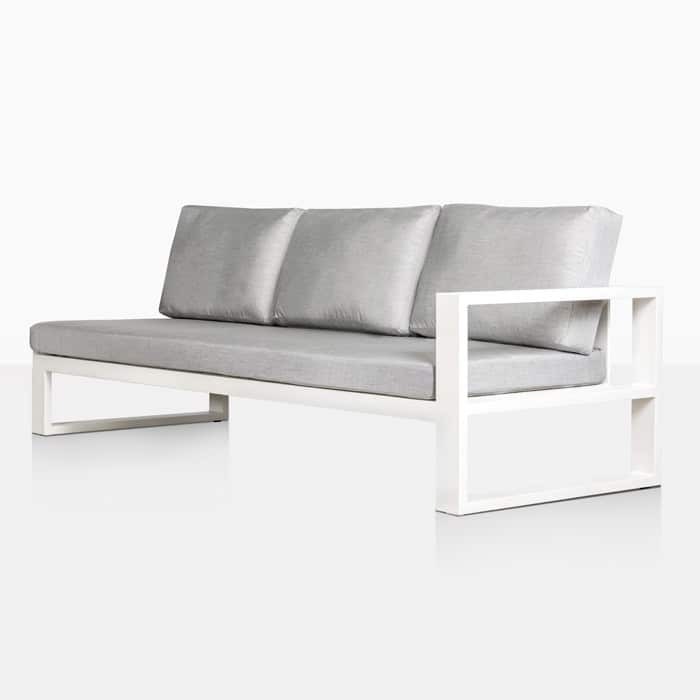 We are happy to present to you the Mykonos Outdoor Sectional Sofa, shown here in White with the Right Arm. 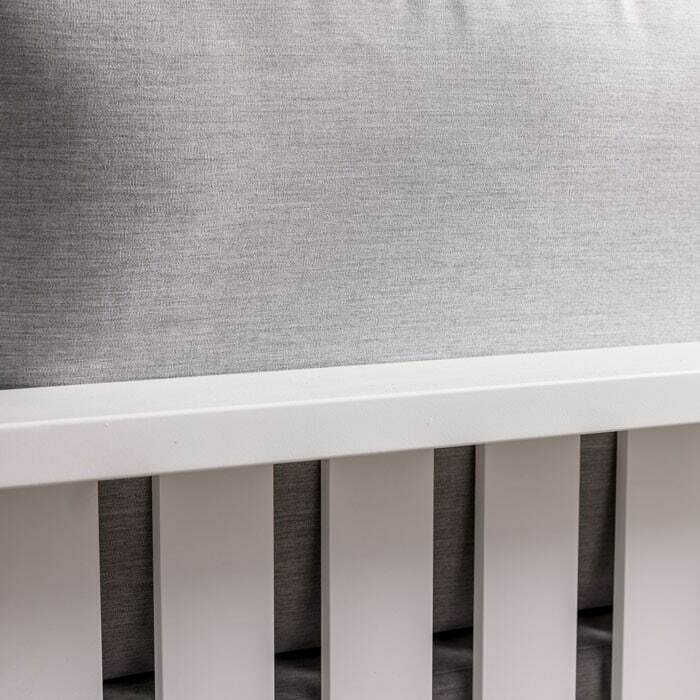 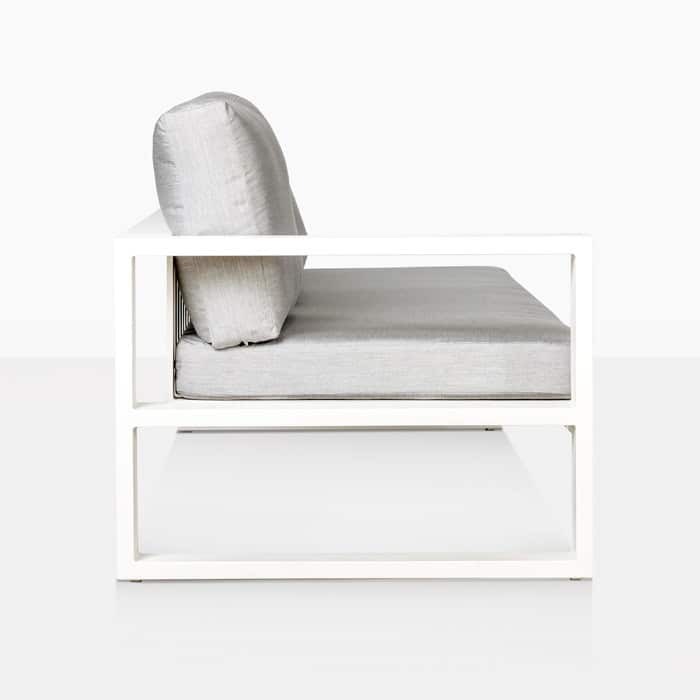 Defined by sleek lines, contemporary materials, and plush cushioning, Mykonos is not just one to watch, it’s one to have! 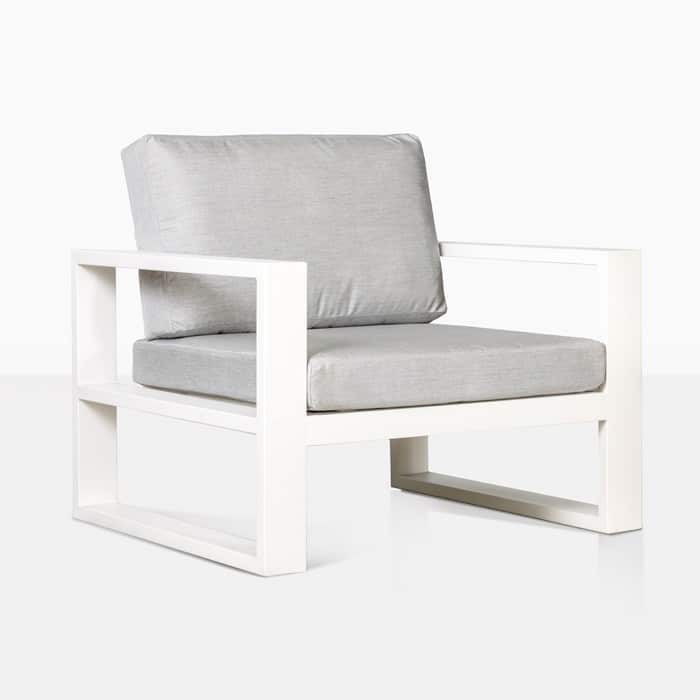 One of our most versatile collections, Mykonos has a modern edge to every piece in the 12 strong patio set! The Right Armed 3 Seater Sectional Sofa is a mirror image to our Mykonos Left Armed 3 Seater, which together can create a long, luxurious sofa, perfect for a lengthy verandah or a large outdoor space. 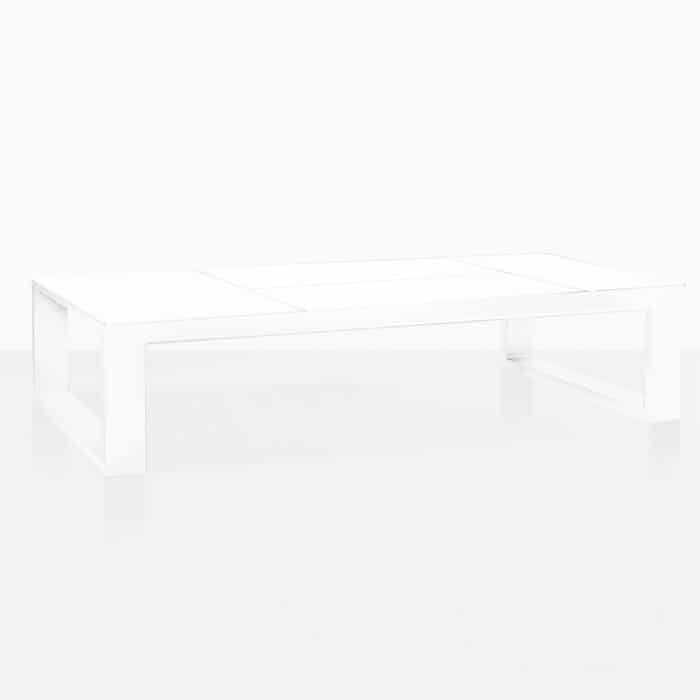 Perhaps you’ve got that space, but something a little more contained? 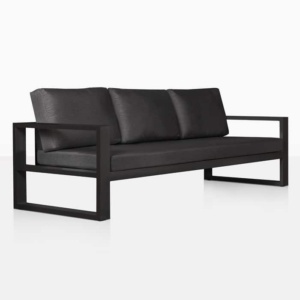 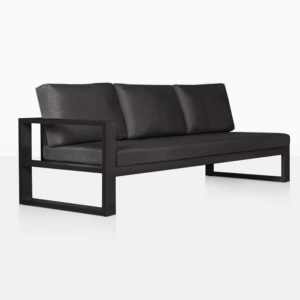 Play with the idea of the classic ‘C’ or ‘L’ shapes by adding a Mykonos Outdoor Sectional Corner or a Left Arm 2 Seater Loveseat. 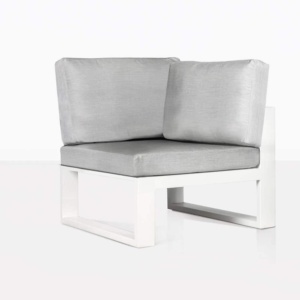 Team up a couple of Mykonos Club Chairs to complete this exquisite setting, or place a Loveseat or Sofa with Arms opposite your sectional to really hone in on striking and welcoming setting. 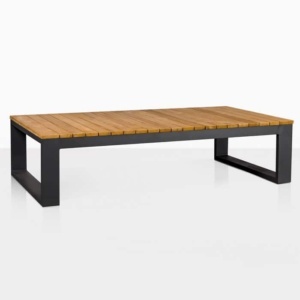 The options truly are endless with this inspiring and unique collection of modern outdoor furniture. 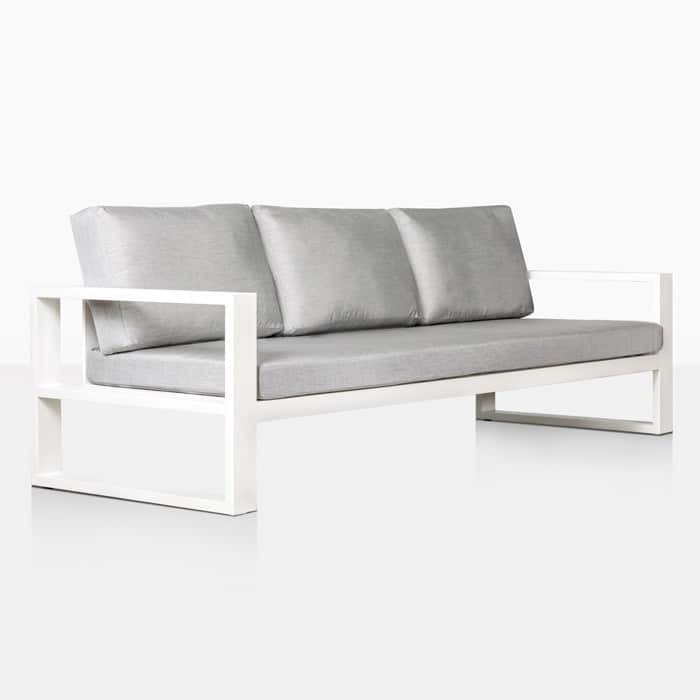 Mykonos incorporates the sophistication of contemporary aluminium, powder coated to perfection, and topped off with thick, luxurious Sunbrella© cushions, meaning that by purchasing Mykonos, you are purchasing exceptional quality and unique garden furniture that will stand the test of time. 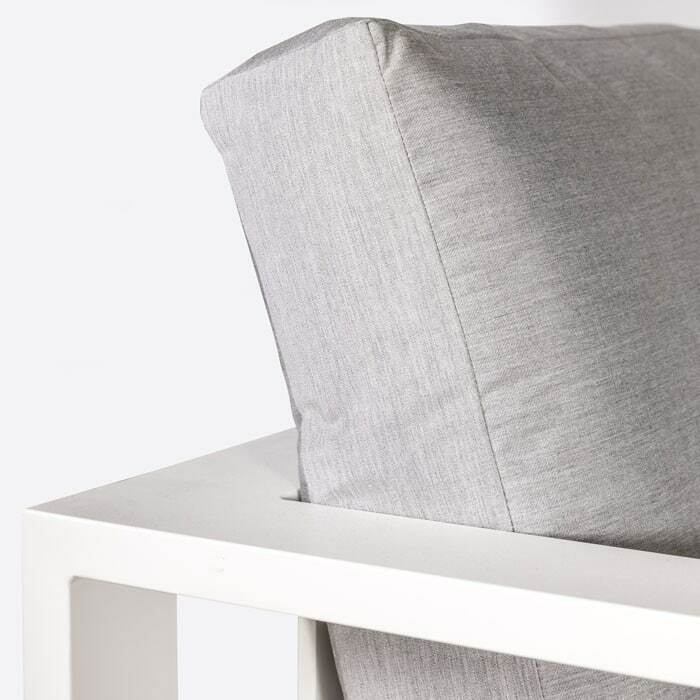 We are also pleased to tell you that Sunbrella© cushions are free with the purchase of Mykonos deep seating, adding to your overall comfort and helping you to create a welcoming space we know you’ll be proud of. 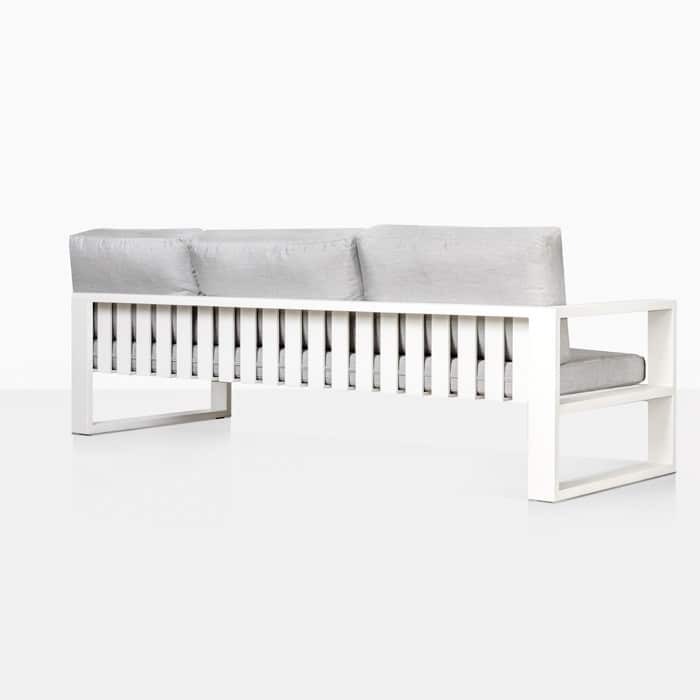 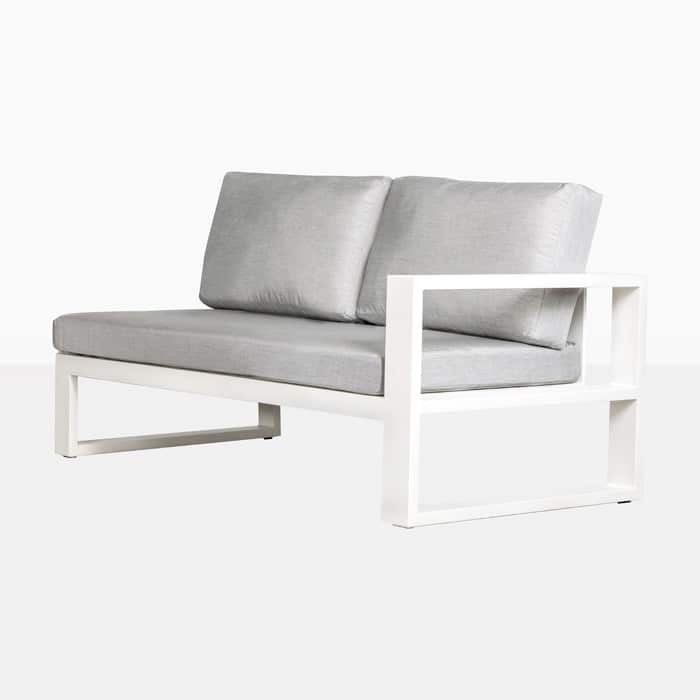 The Mykonos Outdoor Sectional Sofa, Right Arm in White is the beginning of something great – it is the item to get you a leap closer to comfort in something contemporary and stylish.